At INTENSE you can also come and climb with friends or family. If you are at least 1m40 tall and 10 years old, then you are more than welcome at our 24 metre high adventure tower as well as the 200 metre long zip line! No need to worry if are under 1m40, because you are also very welcome as long as your dad or mom accompany you. The welcome by the professional staff was great! We got down to it right away and the super-high Adventure Tower was really worthwhile. We came with our teen association Jes and they had a brilliant time. We are sure to come back, and I would recommend that all associations bring their members to the INTENSE Adventure Tower. Really worthwhile!! The welcome by the professional staff was great! We got down to it right away and the super-high Adventure Tower was really worthwhile. We came with our teen association Jes and they had a brilliant time. We are sure to come back, and I would recommend that all associations bring their members to the INTENSE Adventure Tower. Really worthwhile!! WE WILL COME BACK! My son had a brilliant afternoon. It was fun even to watch. Great concept and very friendly people. We'll be coming back! Original! Different from other climbing adventures! With our group of six women, we had a great start to our day! Highly recommended! This climbing experience is different from so many others... Great fun to do, both indoors and outdoors! Friendly staff as well! We had a memorable hen day! Everyone, big and small, will experience an adrenaline rush and be challenged up in the heights. A fun experience that we will be repeating for sure! Would you like to learn more about organising a birthday party or your own event or party at INTENSE? Contact us via +32 483 17 59 53 or info@intense.be. 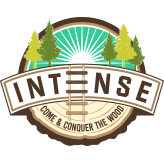 INTENSE is also available for parties or private events. We will be happy to put together an offer that will provide unforgettable memories.